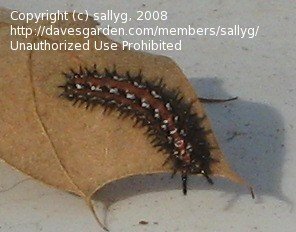 Resident from Arizona to Florida and the southern plains. 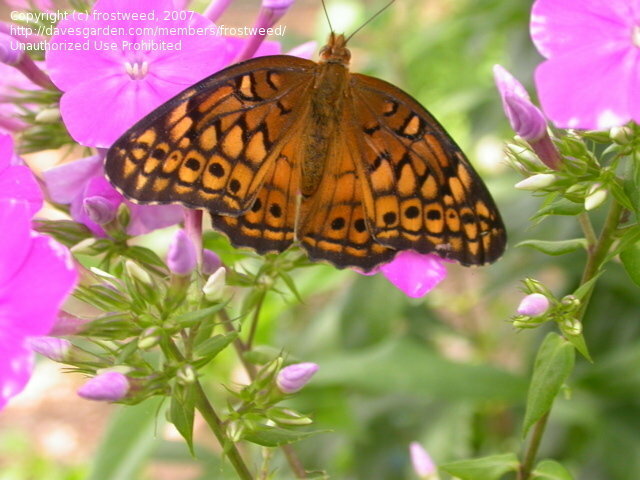 I have plenty of passifloras, so therfore I have lots of these beauties. 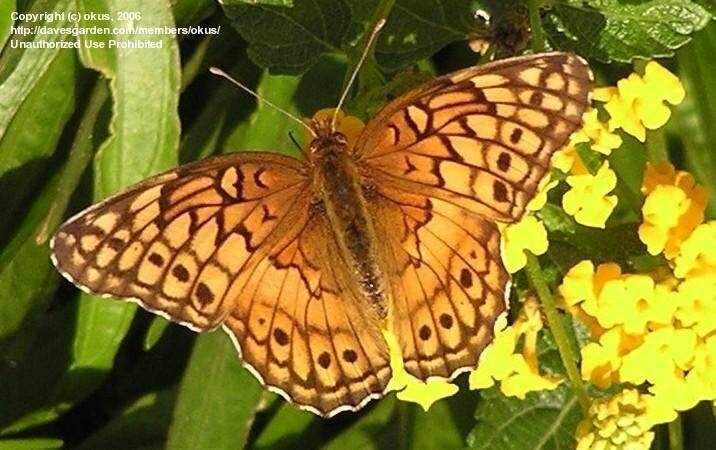 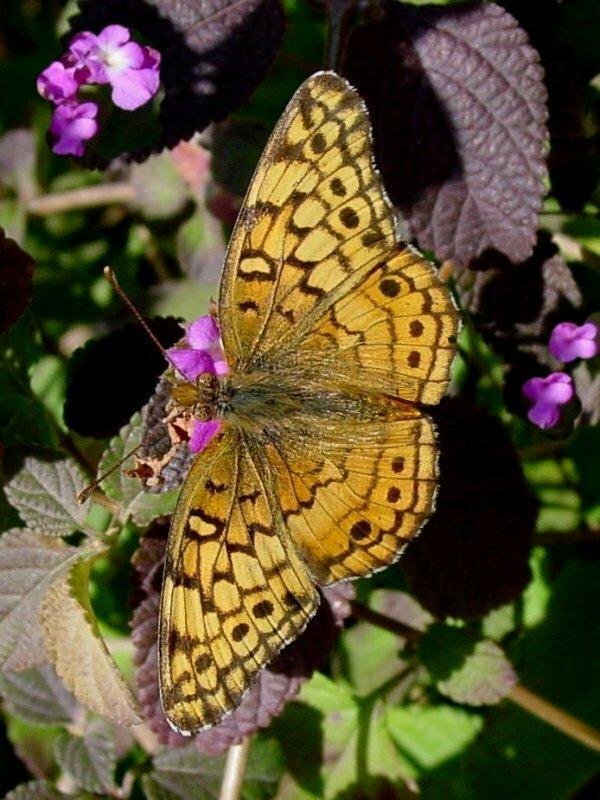 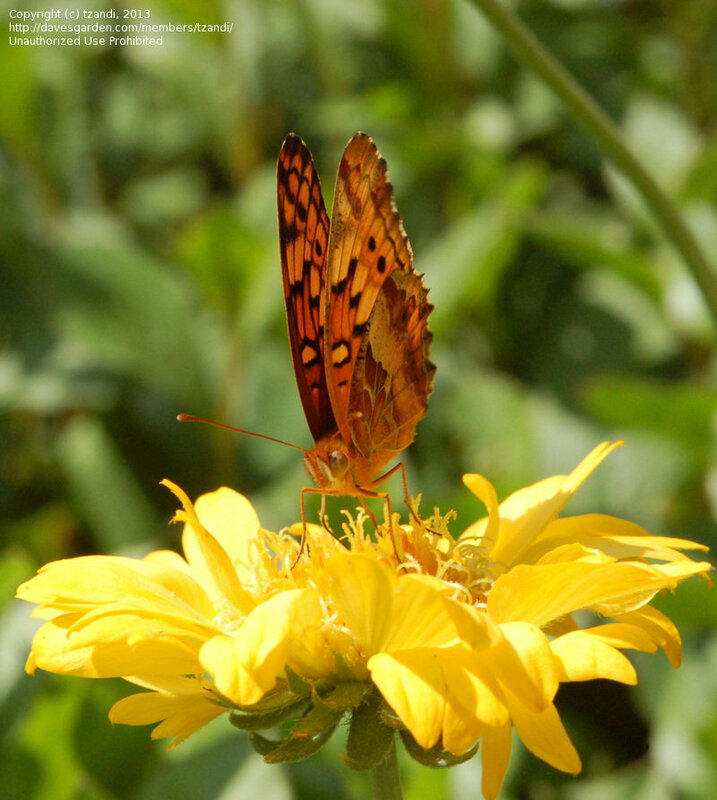 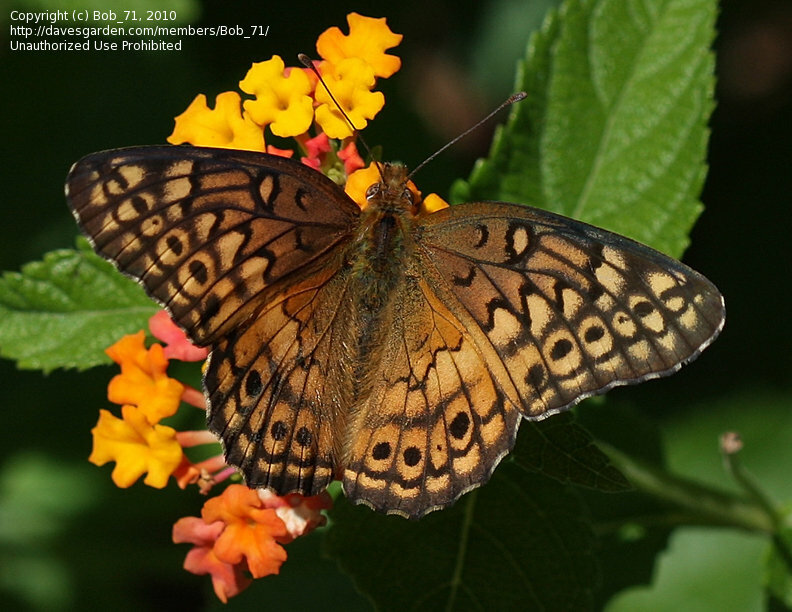 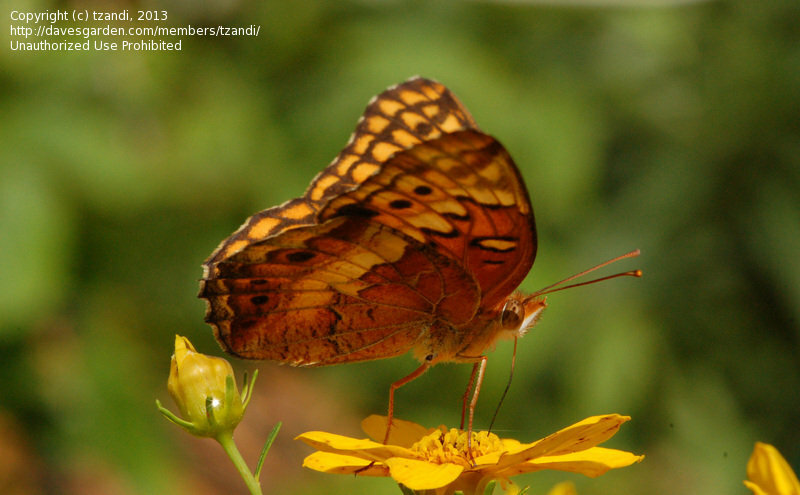 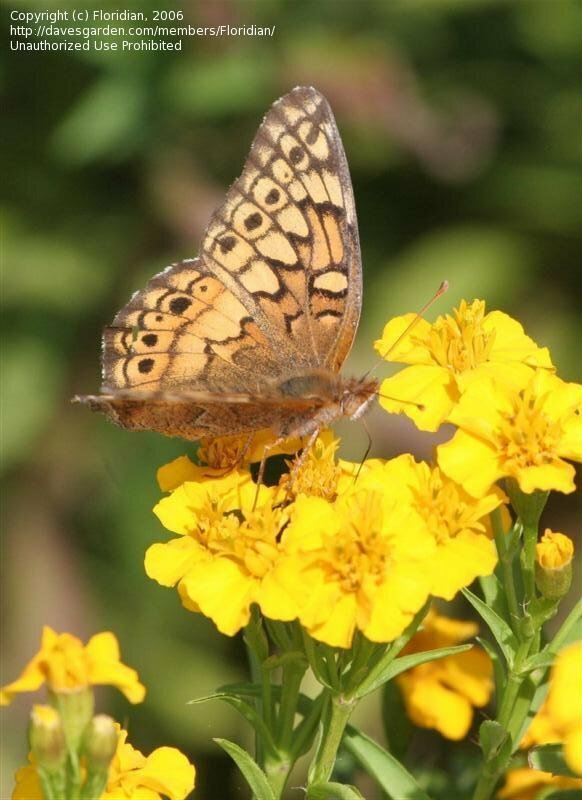 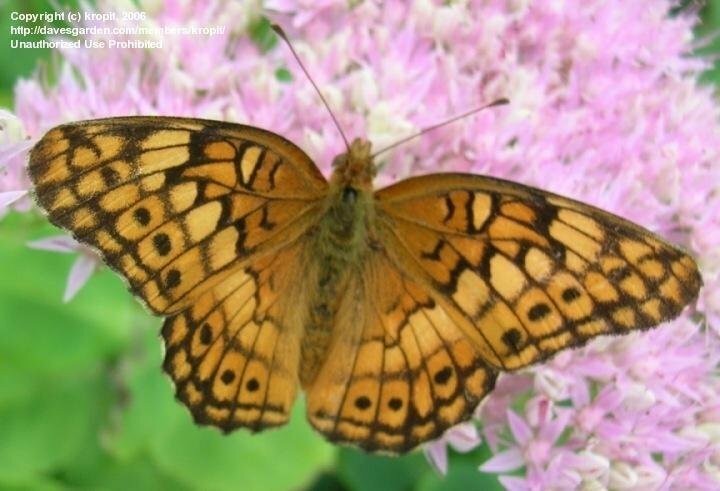 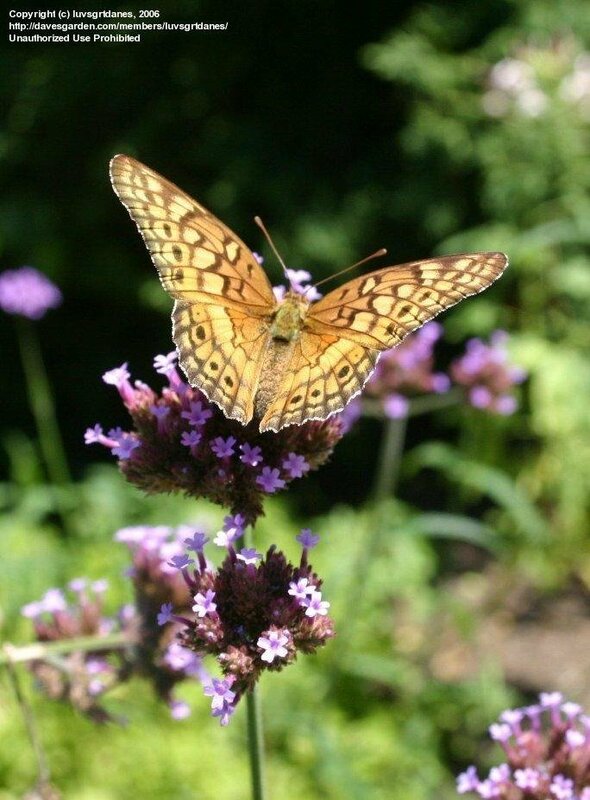 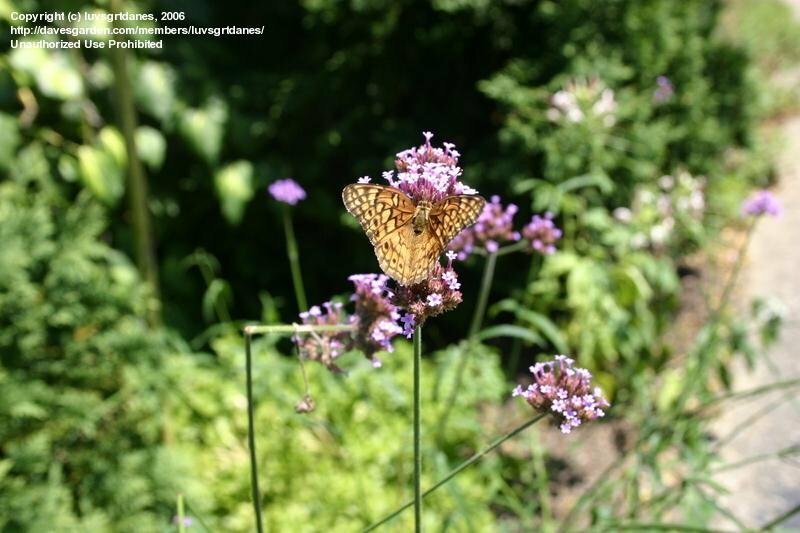 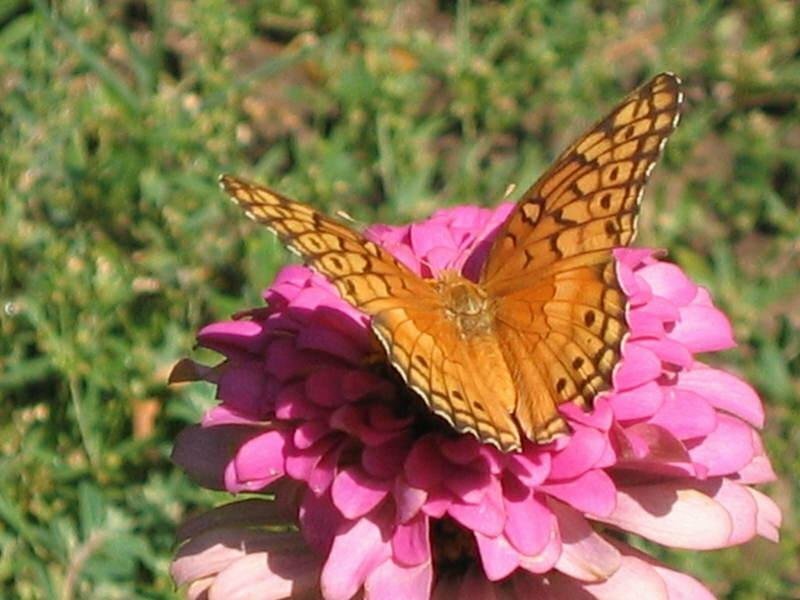 This Variegated Fritillary (Euptoieta claudia) has a wing span of about 1 3/4 inches and is nectaring on a purple trailing lantana in December. 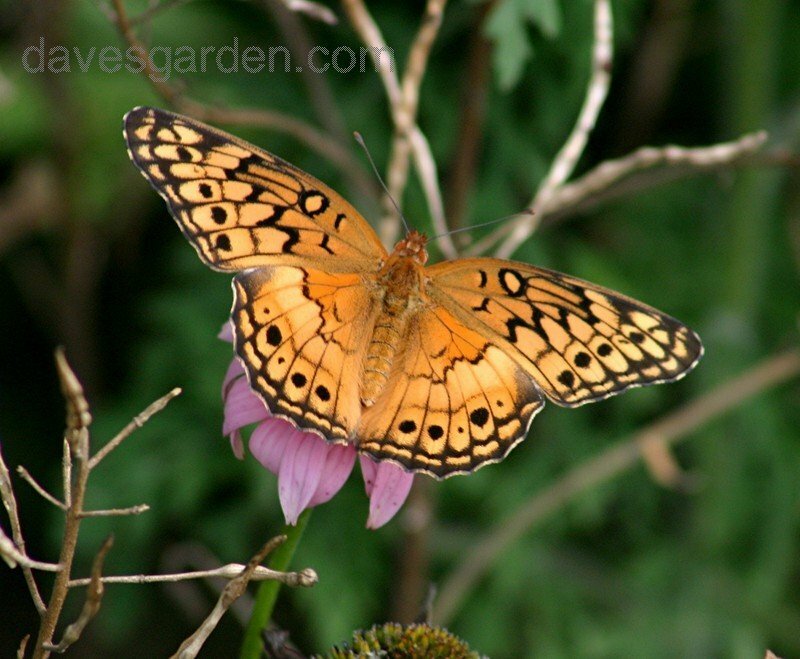 Variegated Fritillary (Euptoieta claudia) a little worn, at Pappy Elkins Wildscape. 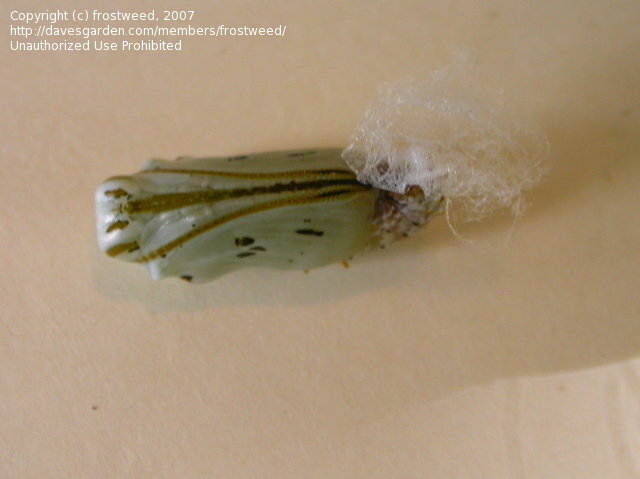 Variegated Fritillary (Euptoieta claudia) chrysalis form the side. 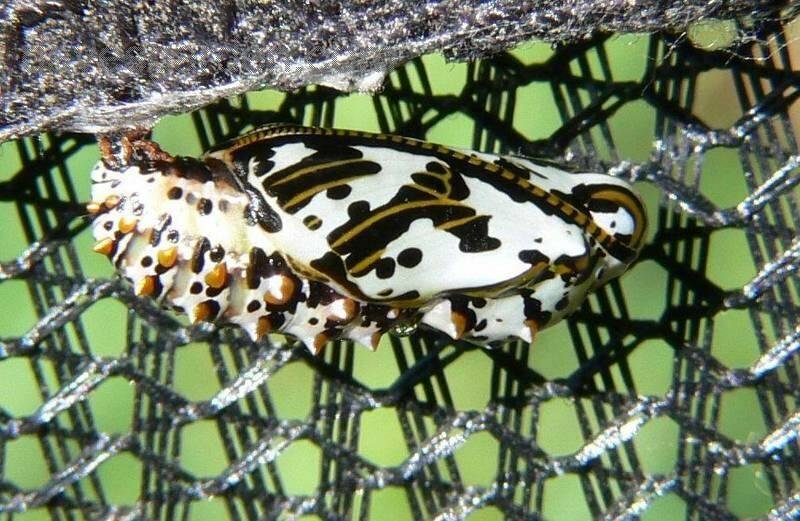 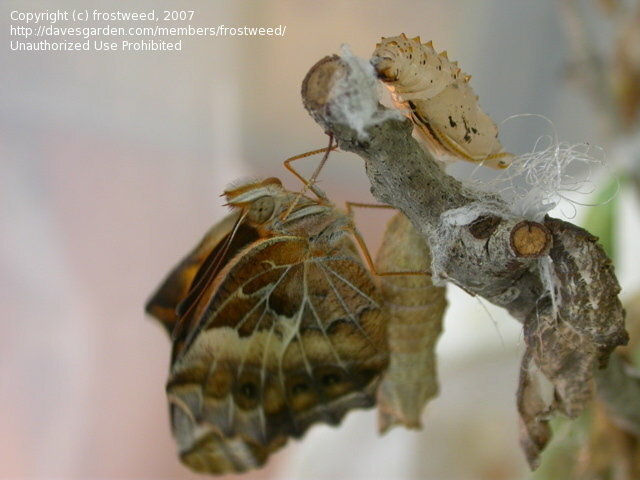 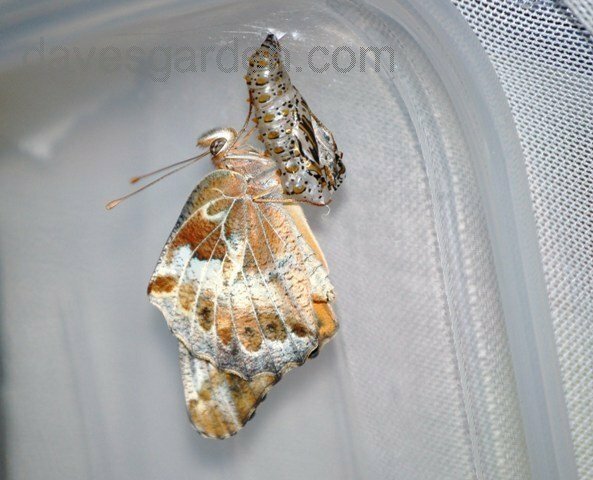 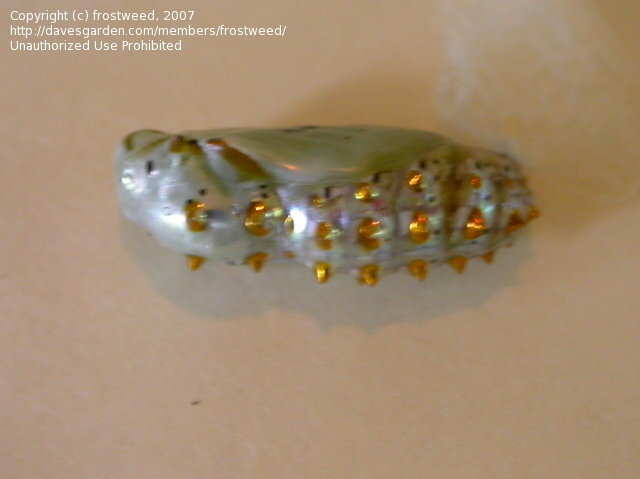 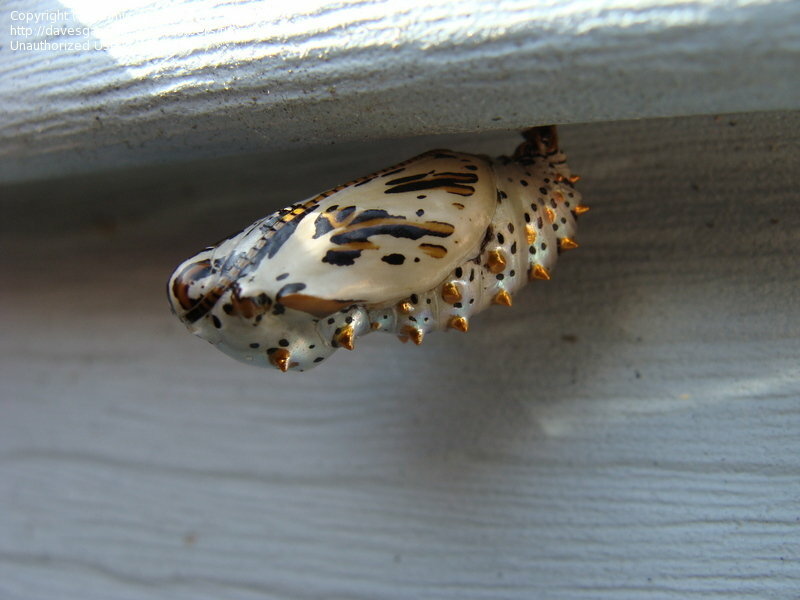 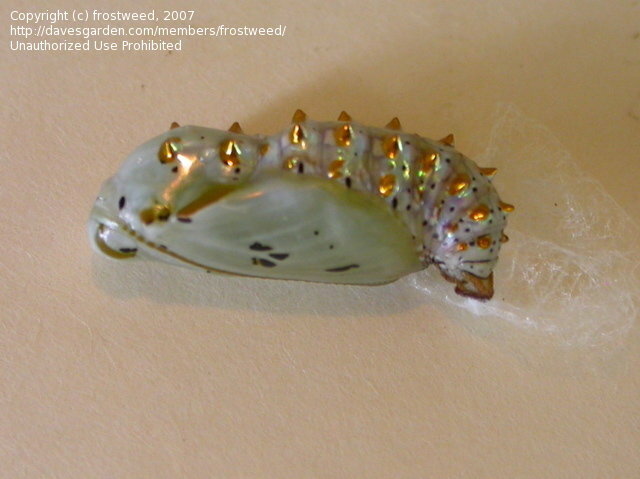 Variegated Fritillary (Euptoieta claudia) chrysalis on its back. 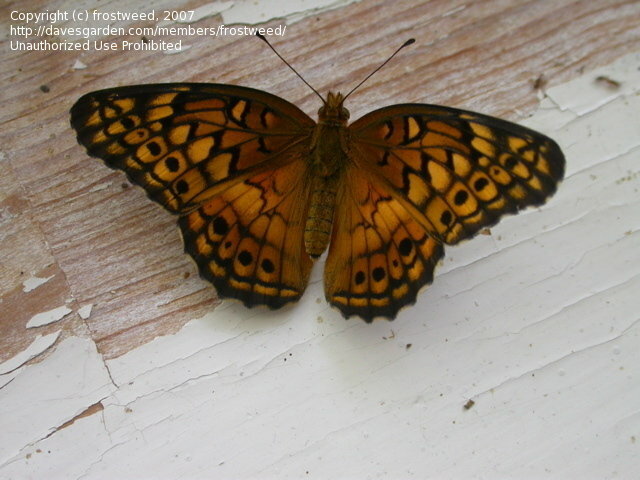 Variegated Fritillary (Euptoieta claudia) showing the back side. 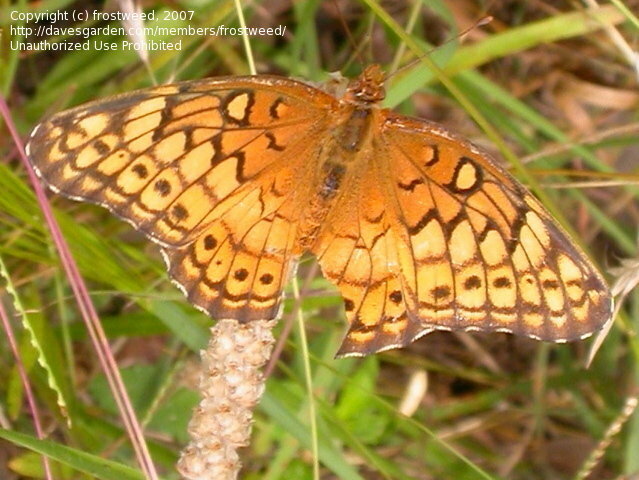 Variegated Fritillary (Euptoieta claudia) just eclosed. 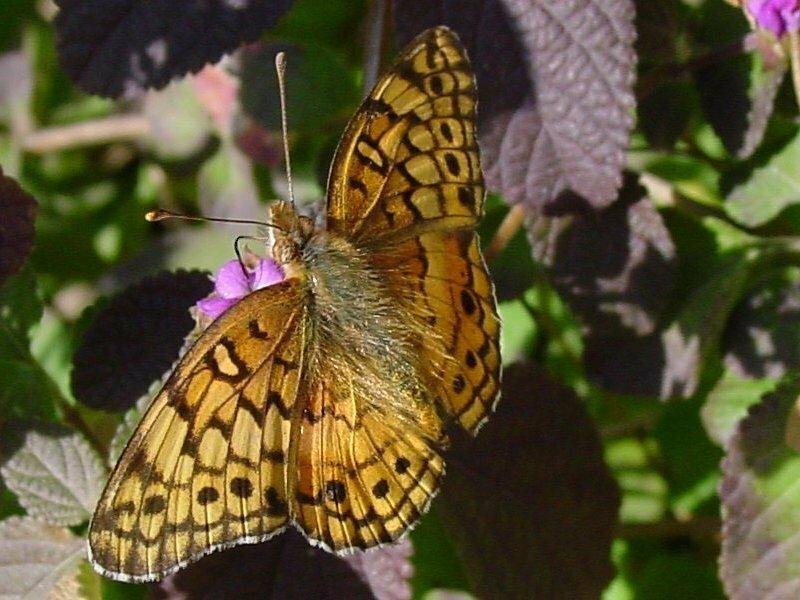 Variegated Fritillary (Euptoieta claudia) two hours after eclosing, such a beautiful butterfly. 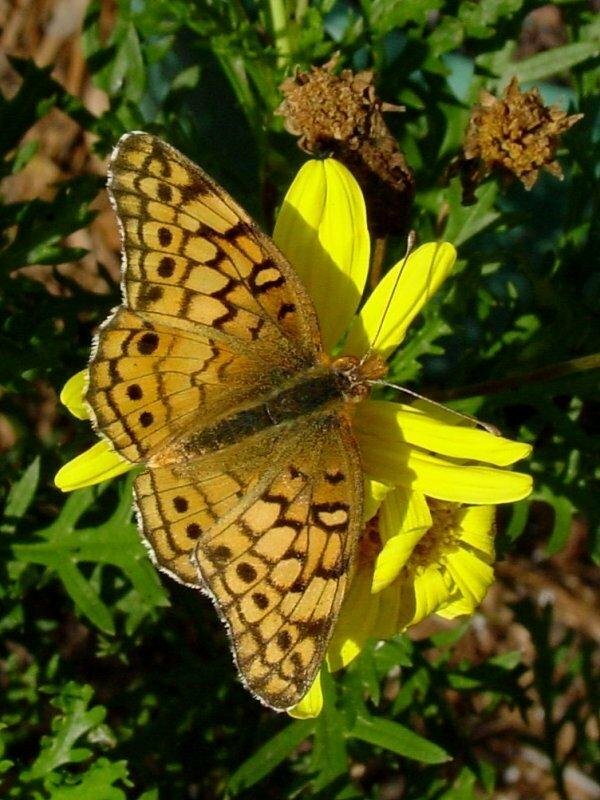 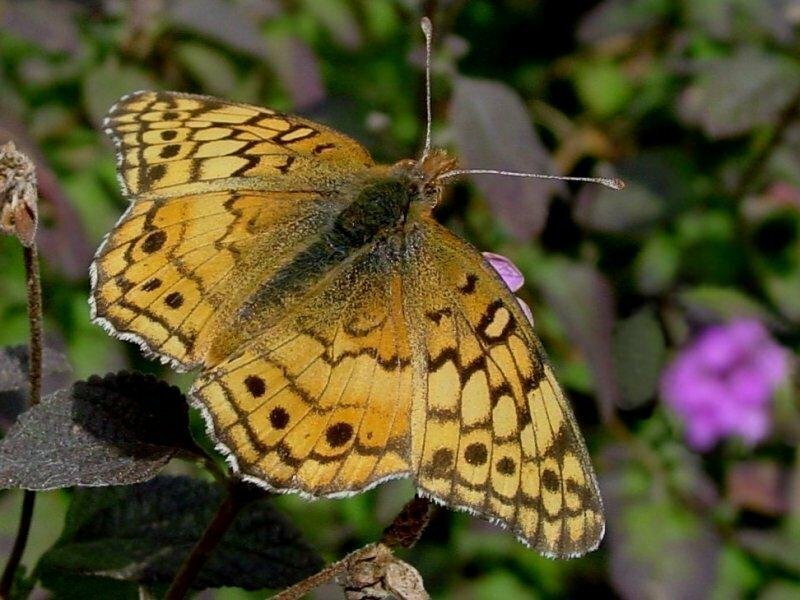 Variegated Fritillary (Euptoieta claudia) being released. 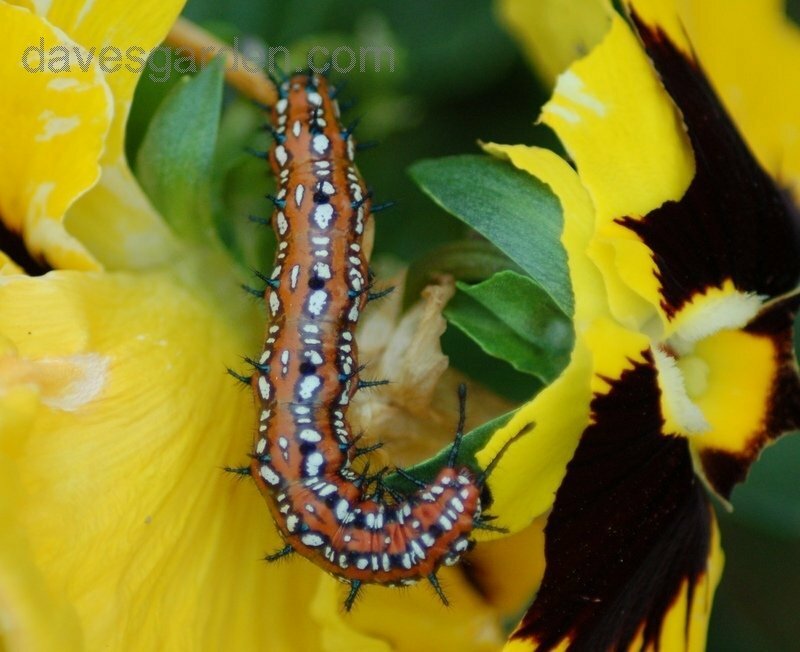 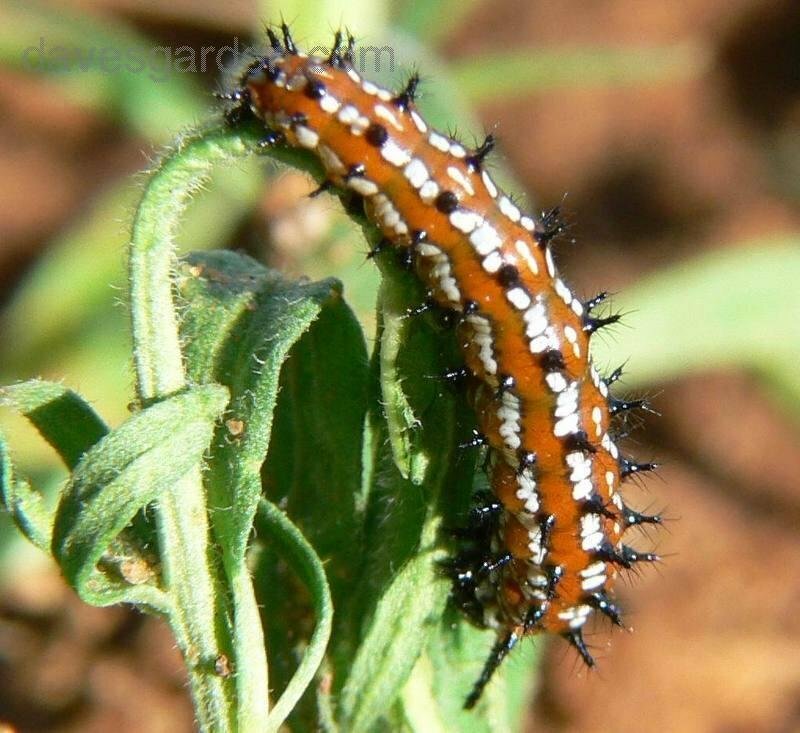 Didn't realize that the pansy is a host plant until I found this VF caterpillar on mine. 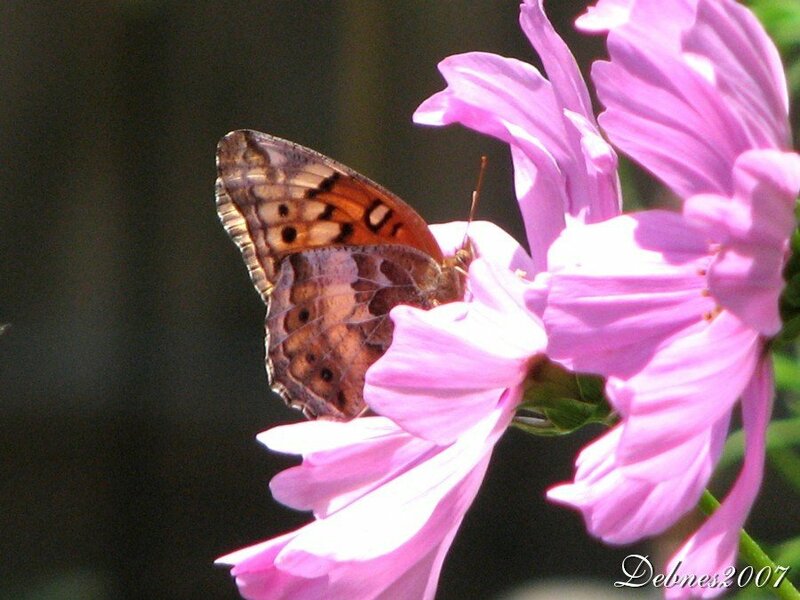 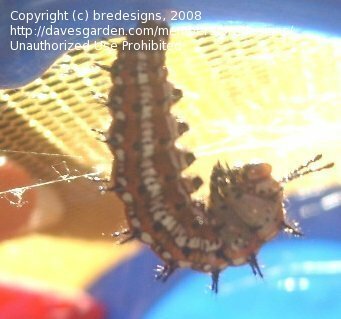 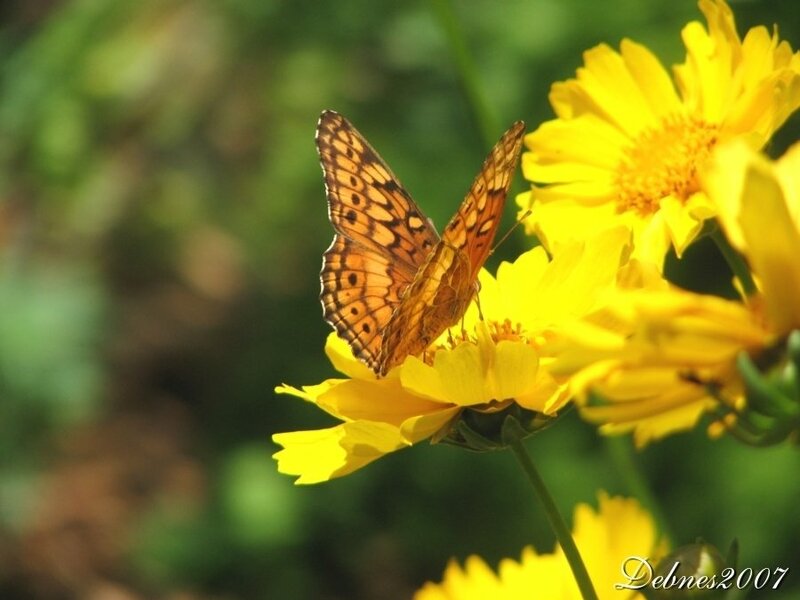 Another that has been a very frequent visitor in my Maryland garden.